Daniel Padilla, Enrique Gil, and James Reid: The Three Young Kings of Kapamilya Reunited! Who have thought they were rivals?! 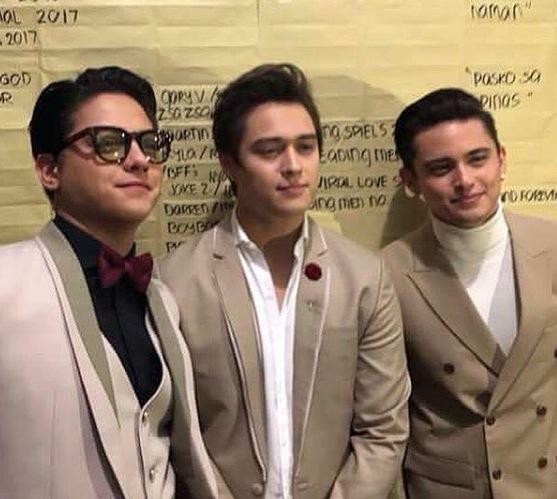 Fresh from their very successful teleseryes, the three young leading men of the Kapamilya network reunited in one big Christmas event! 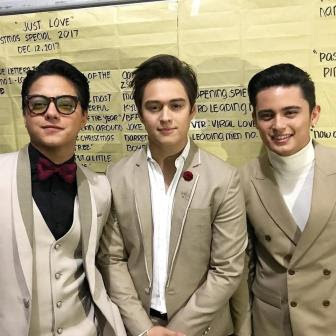 Daniel Padilla, Enrique Gil, and James Reid now dubbed as the "Kapamilya Young Kings" joined forces in the ABS-CBN's 2017 Christmas Special called "#JustLove: The ABS-CBN Christmas Special" held in Smart Araneta Coliseum, December 12. The three young leading men performed together in one stage. Afterwards, they also got their respective leading ladies namely Kathryn Bernardo, Liza Soberano, and Nadine Lustre in another special number! The said 2017 Christmas special of the Kapamilya network is set to air on TV via Sunday's Best later this one.